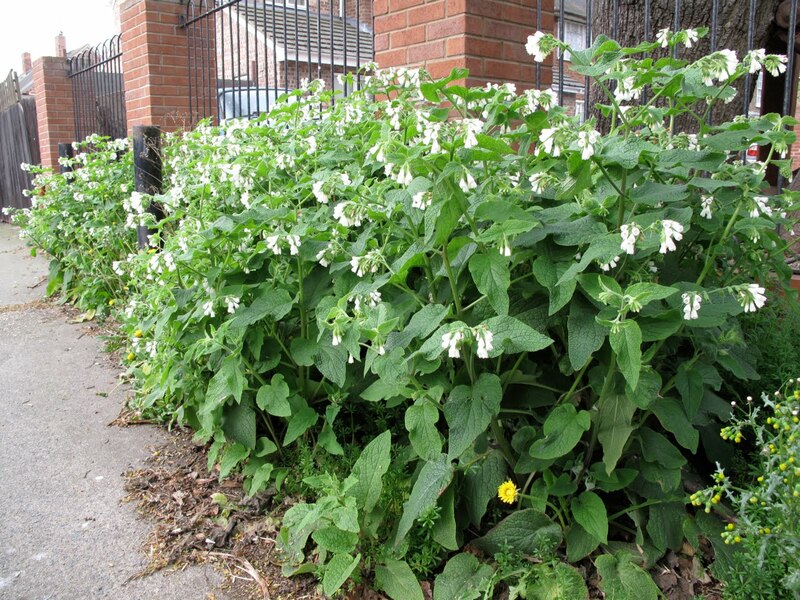 On the sides of a little cul-de-sac near University there is a patch of Comfrey. 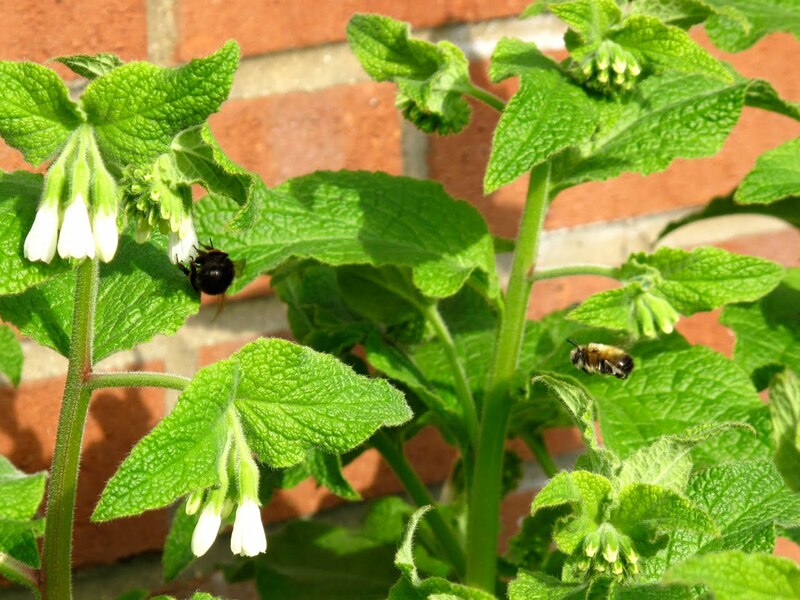 Last year it attracted several species of bumblebees (B. pascuorum, B. pratorum and B. hypnorum) and bees (Anthophora plumipes), which love their dangling flowers. 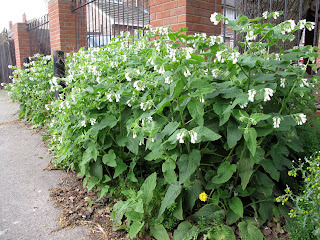 Since the plants started to flower mid April I cannot resist to stop for a few minutes on my way to work. The strategy paid a few days ago, when two A. plumipes were in the patch. The female fed on the flowers while the male went about in his patrolling flight around the clump. Then, the male caught sight of the female and hovered behind her. A female Anthophora plumipes feeding while a male hovers just behind her. Now, I must apologize that last year I wrote a post entitled 'Anthophora plumipes: a final post (I promise)'. If you follow this blog you'll realise I have broken the promise several times: I am just unable to stop posting on this little bee. Totally OK posting about them, they're just too interesting (and adorable) not to post. ;-) One of my favourite bees!